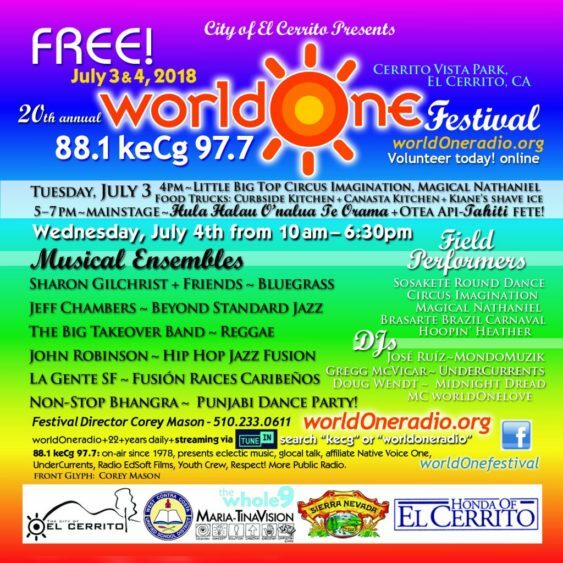 El Cerrito hosts the 20th Annual WorldOne Festival featuring live world music, Hawaiian Mele, Hula plus circus performers on July 3-4, 2018. 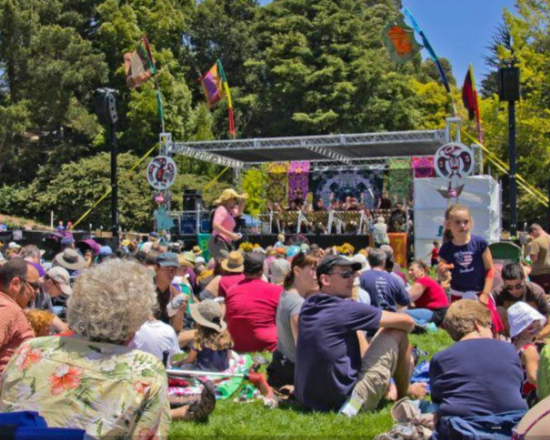 There is a full lineup of music ensembles with live entertainment, a Sosakete Round Dance, circus, hula hooping, DJs, arts and craft vendors and booths by local business and service groups. Last year there were carnival games, jump houses and rides. See what they have in store for you this year.